1. The rules of the Geneva Seal state that the seal should be punched on both the movement's mainplate and on one of its bridges. Brands have some latitude on exactly where to place the stamp for practicality's sake, so ultimately, Vacheron does decide on the placement of the seal. On this example, the seal on the bridge is sized well in my opinion. It's noticeable yet discreet enough where it doesn't call attention to itself. 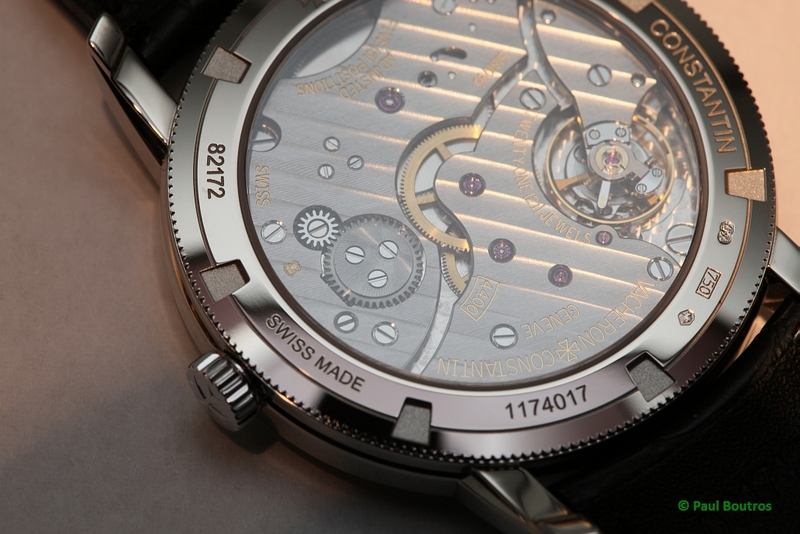 The seal you are looking at on your watch might be the one stamped on the mainplate. These mainplate stamps are typically fully rhodium plated, eliminating any outlining, which makes them more difficult to discern. Are you able to share a picture of your Patrimony's movement? If so, please post it here.